Violent crimes will result in a serious charge. A violent crime usually will mean arrest and jail time. 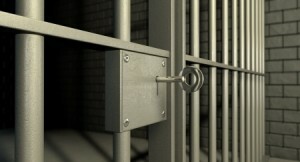 Our company can help you make bail for violent crime in Nashville. The professional team at 24/7 Nashville Bonding Company is available all day, every day to help you or your loved one get out of jail. We know you do not want them sitting in jail when they could be seeking legal advice and preparing for their court case instead. Violent crime charges vary in severity. Depending on the seriousness of the charge, the amount of bail will change. We can assist you with the bail amount whether it is large or small. Know that we understand that posting bail on your own can be impossible due to financial constraints. That is why we offer bail bonds for violent crime charges. Assault and battery: An assault and battery charge is the act of a physical attack against a person that results in fear and/or harm. Criminal battery is any unlawful touching of a person by an aggressor himself, or by a substance put in motion by him. It is the intent to inflict injury upon another individual by kicking, punching, shoving or use of an object. Robbery: A Class A felony for robbery can land you up to 60 years in prison and up to $50,000 in fines. A robbery takes place when an individual takes property of any value that does not belong to them. Armed robbery involves the use of a deadly weapon while attempting to rob a person. Allow our team at 24/7 Nashville Bonding Company to bail you or your loved out if you have been arrested for any violent crime charge! We work hard to get you out of jail quickly and confidentially. Call us for quick bail for violent crime in Nashville!